Welcome to Pickles the Parrot's Site! 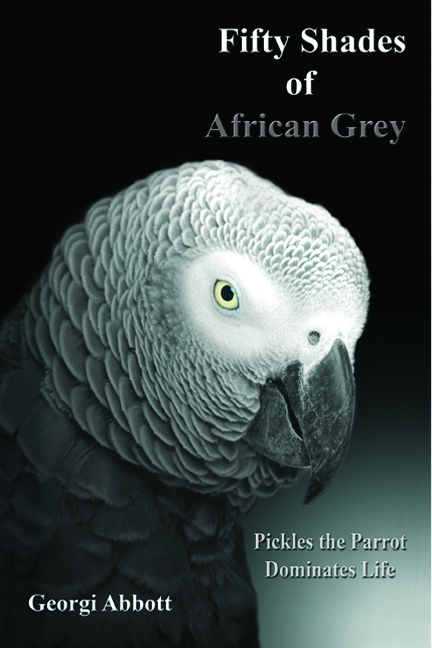 My 4th book - Fifty Shades of African Grey, Pickles the Parrot Dominates Life - is NOW AVAILABLE! 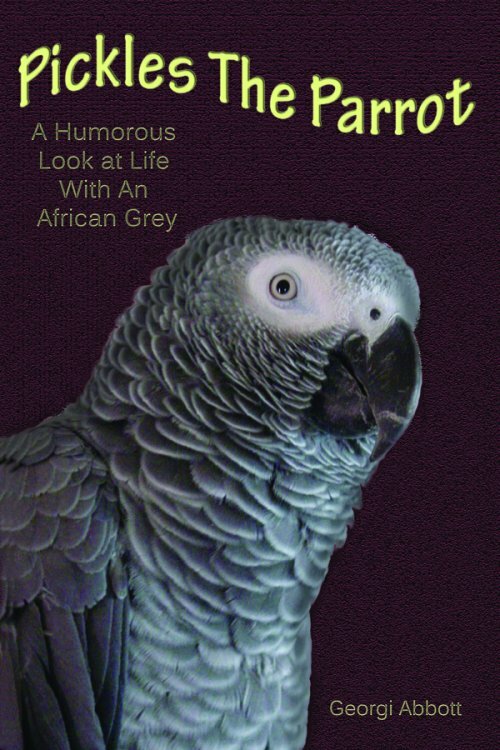 In ‘Fifty Shades of Grey’ Pickles the Parrot does indeed dominate life. Owning parrots can be challenging and frustrating but Georgi Abbott has a way of finding humour in her parrot’s behaviour and giving us pause to think differently about our own feathered pets. This is her fourth book about Pickles and just like the others, you are guaranteed to laugh out loud at this parrot’s antics and personality. Please see "My Books and Stories" for excerpts and more information on my books. 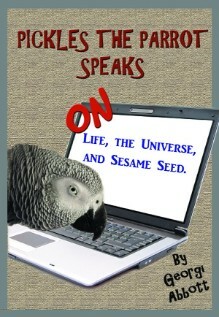 Pickles The Parrot Speaks: On Life, The Universe, And Sesame Seed. Pickles The Parrot on the internet, what a riot! Each day, Pickles posts his witty and humorous thoughts on life from his parrot perspective. The day doesn't start for his fans until they've checked in for their morning chuckle- and it's best not to read with a mouth full of coffee! This uproariously funny book is a gem of a collection featuring the wisdom and humor of Pickles at his best. Pickles the Parrot Returns, My Continued Adventures With a Bird Brain. "Georgi Abbott has nailed it once again! Similar to her first book "Pickles The Parrot", but a more in depth look at the care and commitment parrots require. You'll laugh out loud at the situations that arise with Pickles and his human companions. In this book, the writer has also given Pickles a voice to muse about the world. Pickles is charming playing the role of philosopher and comedian." 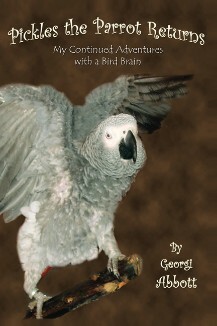 Everyday life with an African Grey Parrot seen through the humorous and often twisted mind of his owner, Georgi. Her interesting perspectives on animal intellect and unique insights into nature take the reader on a thought provoking, entertaining and often hilarious ride. The star of the book, Pickles, takes his adventures in stride with wit and charm. 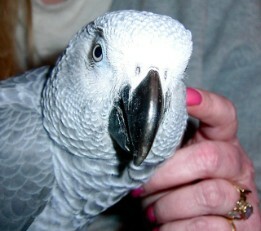 Pickles is an African Grey Congo Parrot who's PickleStories have been published in Good Bird Magazine for several years. Pickles is quite the character - fun loving, cheeky, witty and highly entertaining. Feel free to browse our site and don't be shy about contacting us.